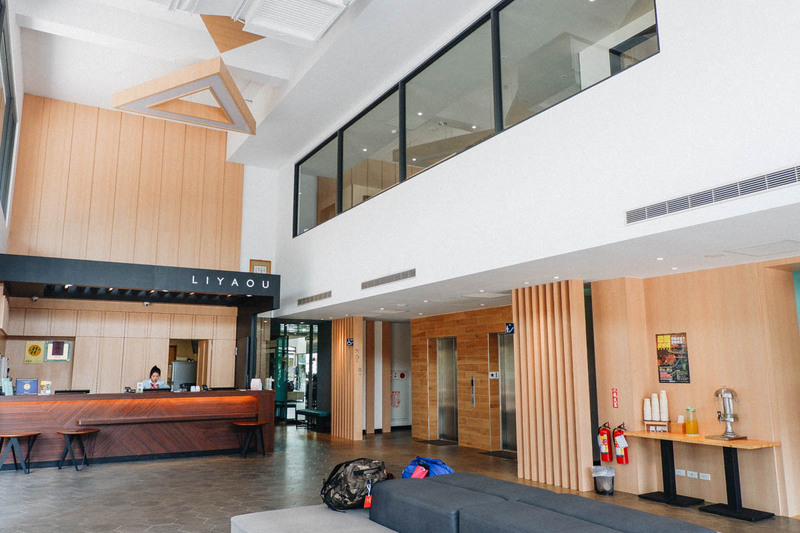 The Hotel Liyaou was built with three things in mind: thoughtful, contemporary design, and luxurious touches. The walk from Chiayi Train Station to Hotel Liyaou took 5-10 minutes (whilst fabulously donning a huge backpack on my back) and made me appreciate how amazingly located this hotel is. The Chiayi's night market located in Wenhua Road is just 15-20 minutes walk from the hotel. 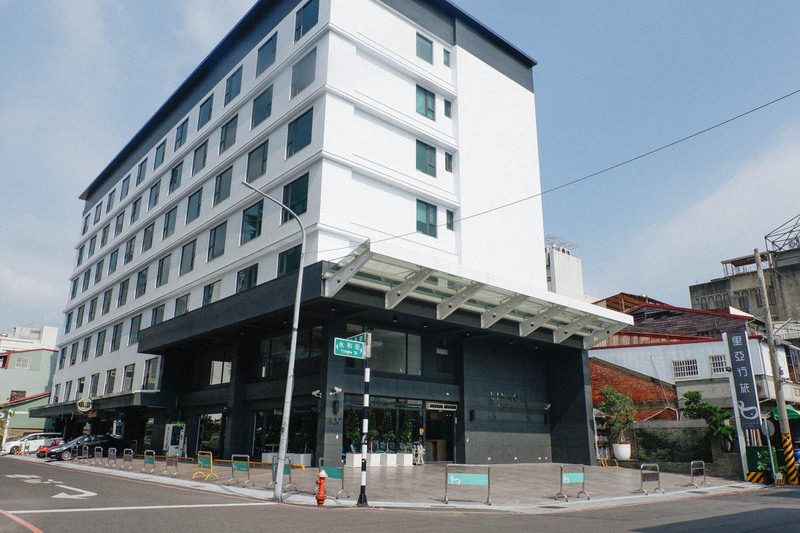 It's close proximity to restaurants, cafes, shops and other tourist attractions, makes this hotel an absolute "must-stay" in Chiayi, Taiwan. After landing in Taoyuan International Airport, we booked a 2-hour train ride via THSR to Chiayi. After a grueling flight and an exhausting train ride, we hopped on the free BTR shuttle service from THSR Chiayi Station to Chiayi Train Station. During our transit, we met Amanda, a university student, whom we asked for directions to our hotel. With her help we where able to find our hotel in a breeze, which is just a few minutes walk from the Chiayi Train Station. As we walk past the hotel's main entrance and the automatic sliding door, I found my self enveloped with the hotel lobby's cool air, which is a much needed respite from the heat. 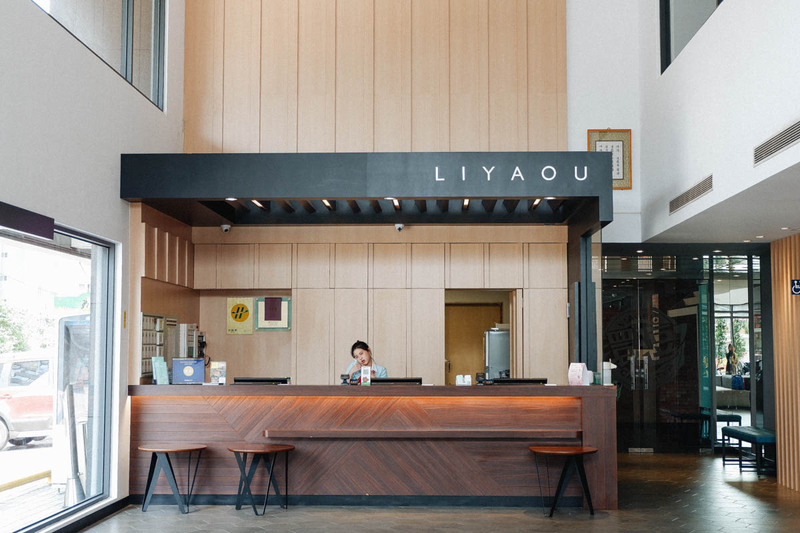 The reception of Hotel Liyaou felt warm, inviting, and cozy. It's the kind of hotel lobby you actually want to spend time in, winding down with a cold lemon-infused water after a long day of biking. I went straight to the front desk where I was greeted by Kevin. He gave us a genuine warm welcome and immediately provided us a smooth check-in which is very vital for weary travellers who flew thousands of miles. 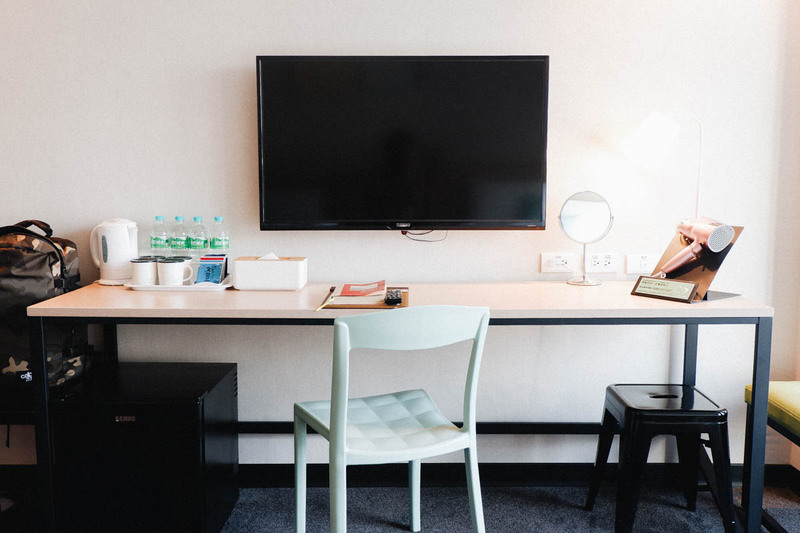 Our spacious Deluxe Family Room spread over 33 square meters. Inside, the contemporary design is oozing yet again luxurious and cozy. Every piece of furniture felt like a design piece in itself. The added pastel picture frames and apple green seat contrasted just right and never looked to boring. The 2 queen-sized bed had cloud-like bedding and I found myself drifting away to dreamland as I laid on it. I equally loved the bathroom with its electronic smart toilet. The hot and cold shower can easily be operated to suit your perfect shower temperature in a breeze. Having breakfast at Viaggio was definitely one of the highlights of our whole Chiayi trip. I have never enjoyed having breakfast as early in the morning but this definitely enhanced the entire experience. 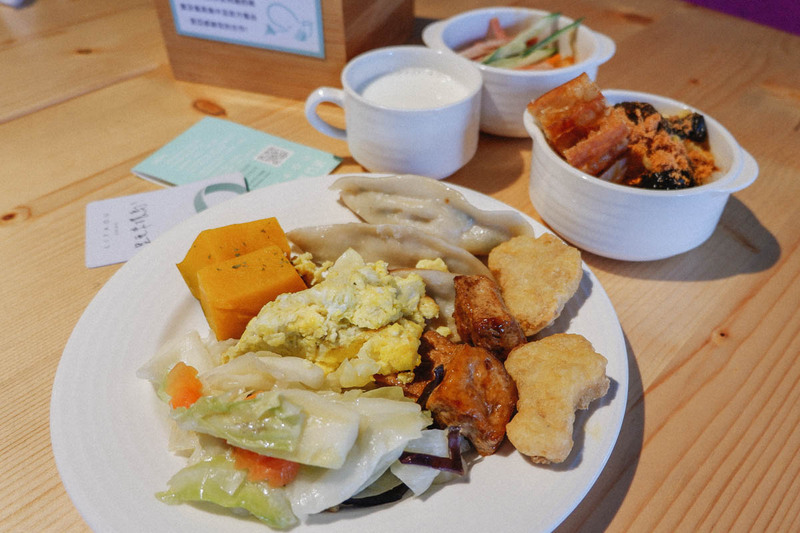 The breakfast was oozing with goodness to set you up for a day of biking and exploring Chiayi, with an extensive Taiwanese and Western buffet and hot dishes cooked to order. The dishes were a work of art, curated meticulously for every taste. One of the best thing about this hotel is that they offer bikes for you to use at no extra cost. Having an easy and free access to one of the most favored transportation in Taiwan was very convenient. This service definitely felt like a luxury service. 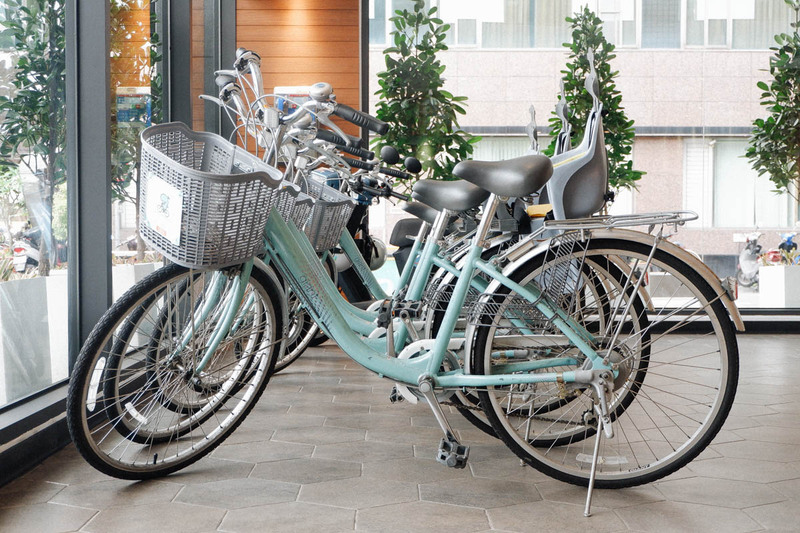 You can roam around Chiayi on your own using Hotel Liyaou's bicycles. The added basket storage in front is for you to put on your stuffs while exploring the city. Hotel Liyaou also offers a place for guests with children to experience exciting, creative and fun activities. Dubbed as 'The Playroom', it provides an ideal area for reading, playing, doing arts and crafts, making friends, and exploring new things. There are toys and games that can stir up any kids' excitement. From the ball pit area, building blocks to solving puzzles, they can explore and learn how to sort, arrange and find solutions while having fun so boredom is not an option. 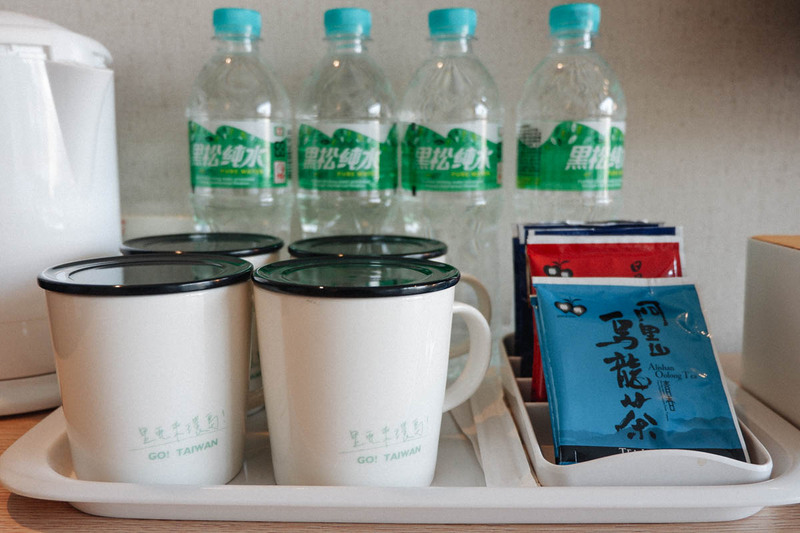 Along with an unlimited 24/7 complimentary access to the Hotel Liyaou's self-service laundry room was another huge benefit of staying here as opposed to others. So once you feel the need to wash your clothes, all you need to do is propped your dirty clothes inside the washing machine (laundry detergent is also provided for free) and let the machine do the hard work for you. My stay at Hotel Liyaou was incredibly at par with five-star hotels I am used to. 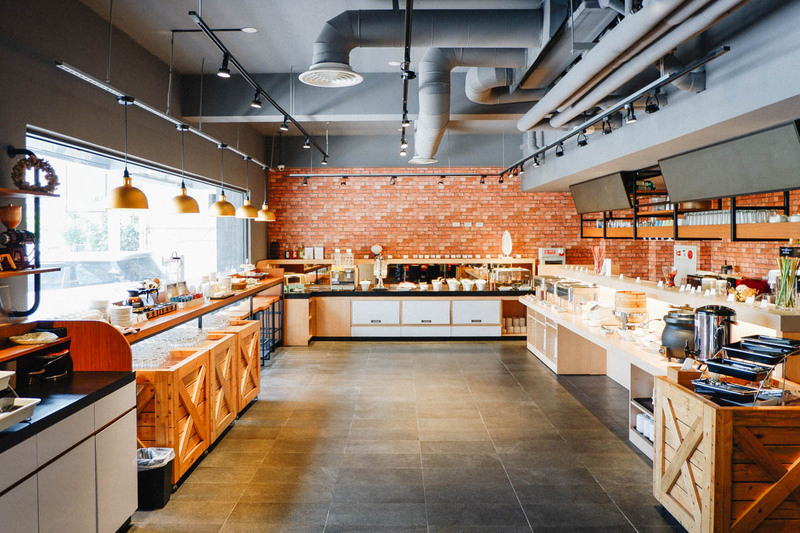 The delectable dining offerings, the simplicity yet grand touches, and the 5-star service, it offers a level of luxury lifestyle that goes far beyond Chiayi City itself. It's a great option for families, or those that wants a much needed respite after a long trip. 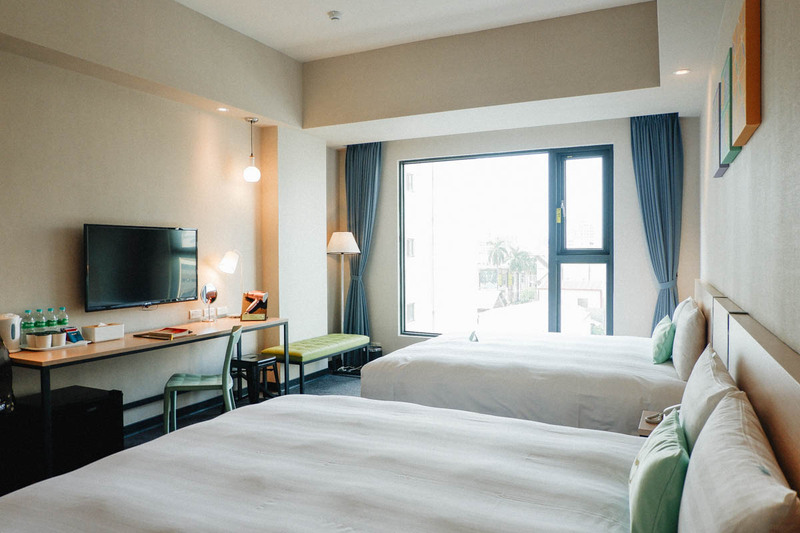 It's cosy, stylish and exactly the kind of place you dream of after a biking day around the laidback Chiayi city. I commend Kevin and Sonia, who went above and beyond to exceed all of our expectations. 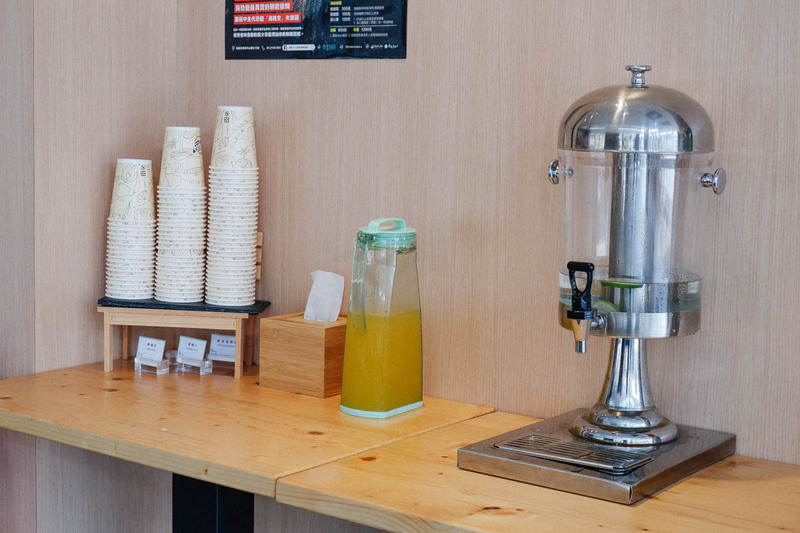 The hotel staffs are also very knowledgeable about the best places to eat and explore around Chiayi. They are truly passionate about their work and everything in it. Those added extra touches came just right. Hotel Liyaou definitely deserves my seal of approval. 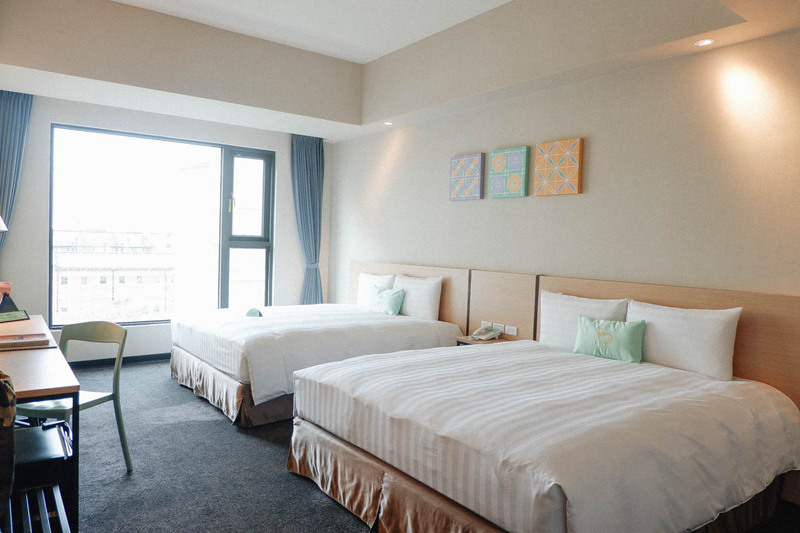 Rates at Hotel Liyaou start at NT$5,500 ($184; PhP9,600) per night for a standard room and NT$8,300 ($277; PhP14,500) per night for a deluxe family room. The closest airport is Kaohsiung International Airport, which is an hour to two hours drive away. Read more reviews of Hotel Liyaou on Trip Advisor. 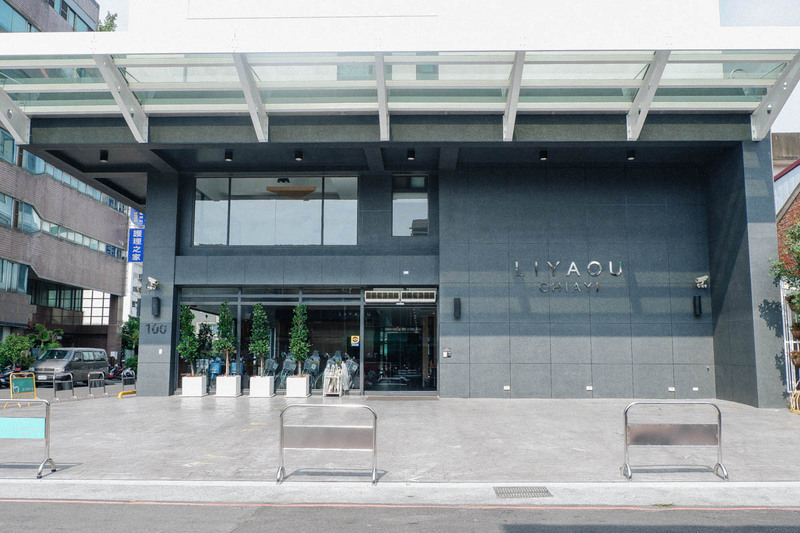 What do you think of Hotel Liyaou? Are you planning a trip to Chiayi? If you enjoyed this post then please leave me a comment in the box below. 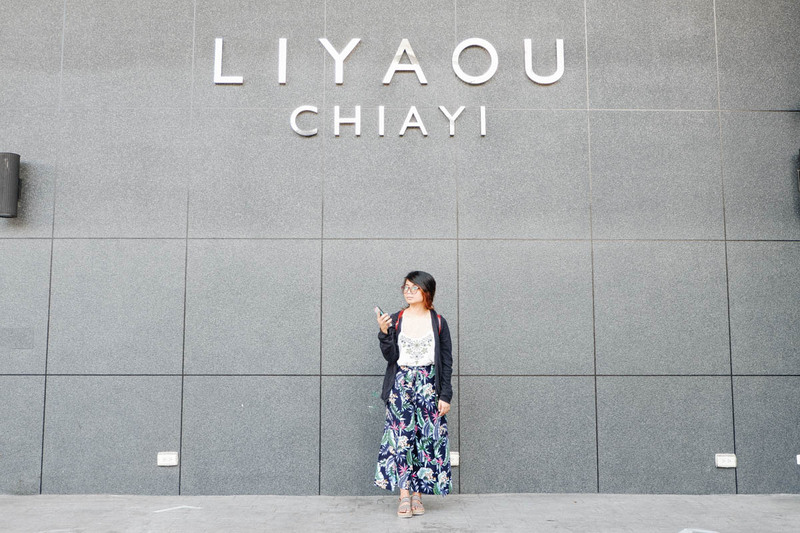 Disclaimer: This is a sponsored blog post that has been created in collaboration with Hotel Liyaou. All views and opinions remain honest and my own. All images are my own.